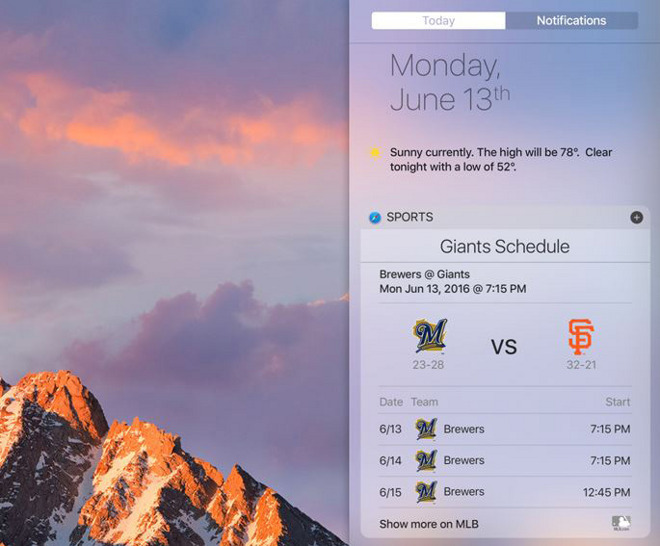 macOS Sierra, revealed during Apple's WWDC keynote on Monday, will be the first Mac operating system to include Siri. Although many people are familiar with how the virtual assistant works in iOS, there will be quite a few differences on desktops and laptops. On current Mac models, at least, the main way you'll trigger it is by clicking on a new Dock icon, although during the keynote, a keyboard shortcut also seemed to be available. In any case, there will be a Menu Bar icon in the upper right. Macs will have access to just about every Siri function present on iOS devices, with the obvious exception of anything hardware-specific. Among options will be things like reminders, photo browsing, Apple Music, FaceTime calls, restaurant reservations, and finding movie times and sports scores. Where the Mac will come into its own, though, is integration with Finder. 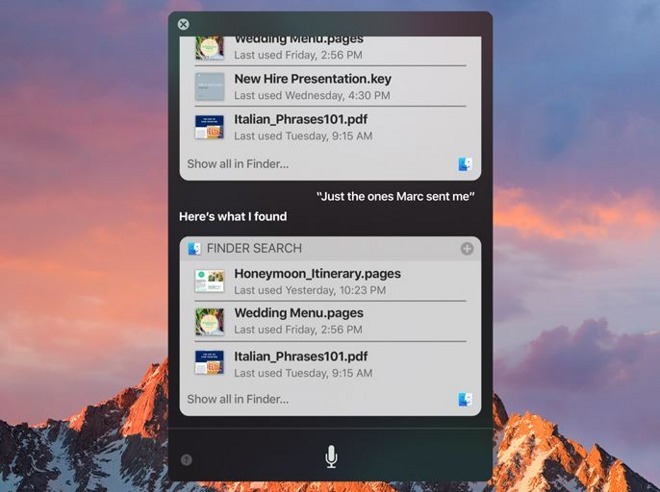 Although opening the app itself may be easier for locating specific files, Siri will allow searches according to broad criteria like when files were last opened or who sent them. The system will moreover support contextual follow-up commands, which can narrow down results. People will also be able to export Siri content for the first time. When searching the Web for an image or a Maps location for instance, that content can be dragged and dropped directly into another application. Siri results can additionally be pinned to the Today tab in the Notification Center, where they'll be updated automatically if there are any changes. 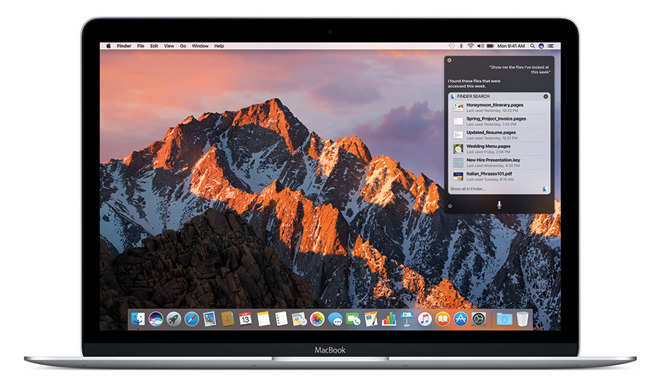 Apple has hinted at other Mac-specific commands as well, such as the ability to check how much free storage space is left. Something that remains to be seen is how the Siri SDK might open up third-party app functionality. Apple concentrated on how it would improve iOS apps during its keynote, but the technology could become even more useful given the greater scope and power of desktop software.